Jenn and her mom right before the ceremony. Gorgeous flowers all around from Monica at Bayberry. There are a few moments during the course of a wedding day that are absolutely amazing. This is one of them: The moment they realize it’s done! They’re married! The reception was held at the historical St. Paul Hotel with wonderful decor from Apres. Ed + Jenn had a lush suite on the 11th floor with a great view of the park. 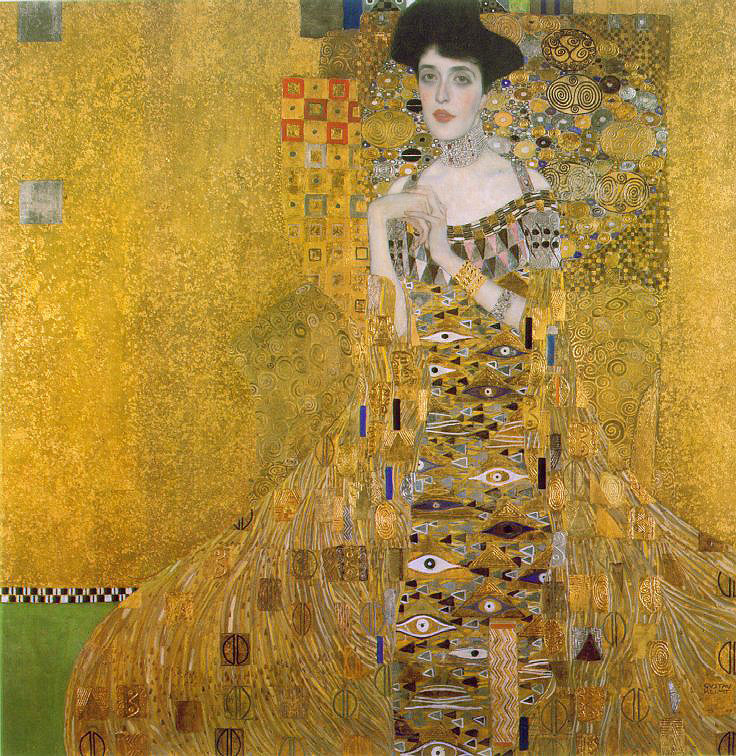 Jennifer in front of Klimt’s Adele Bloch-Bauer. Special thanks to Nicolle Sellers from Mother of the Bride for her expert planning and George Faber and the Icons for an awesome night of energy filled live music.